Children in the Montessori environment learn writing and reading through a series of exercises. ?Beginning with oral language games- individually and in groups -the children explore and play with the sounds of their native language. Once those sounds are clear and developed, we attach the symbols -the alphabet. Now the child can begin to write. 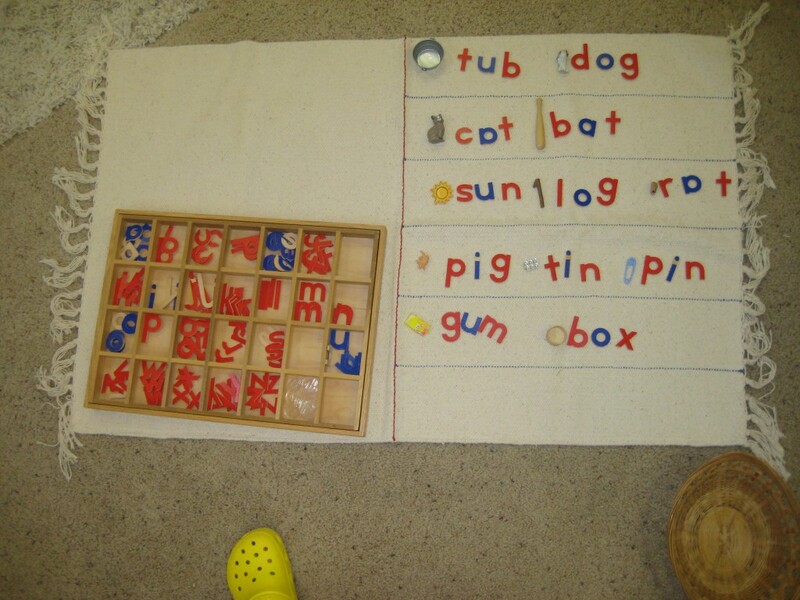 ?Using the symbols to encode sounds, the child builds words. ? This is writing! ?Beginning with short, phonetic words, moving rapidly to longer, more complicated sentences, the child uses this new skill to describe, journal, and document the world. How wonderful to learn in this way! To build a language for yourself, unencumbered by expectations! ?Free to explore the rules, to use this magical tool to express yourself more fully! ? The child in the Montessori classroom learns these skills at his own pace, joyfully absorbing the sounds and symbols of his own language. ?Effortlessly moving from oral to written expression. ?This joyful self-discovery comes with no effort from the child – he is born with an innate need to explore, understand, do. ?When given the freedom to fulfill this need, the child is at once peaceful and alive. Come watch us at work! ?See for yourself how the Montessori environment enables each child to learn for himself, at his own pace.